The 2013-2014 basketball regular season is coming to an end for both the men and women’s teams. The men’s team has an overall record of 12-10 and 10-6 in the Great American Conference as of Monday, February 17. They have also been on a four game winning streak. March 1 will be the last home basketball game, which means that for two players on the men’s team, it will be the last time they play for the Crimson Storm. These two players are Quan Conner from Waukegan, Illinois and Antwone Jackson from Huntsville, Atlanta. Conner averages 16.9 points per-game, 34 minutes per-game and has started all 45 games he has played in his career at SNU. 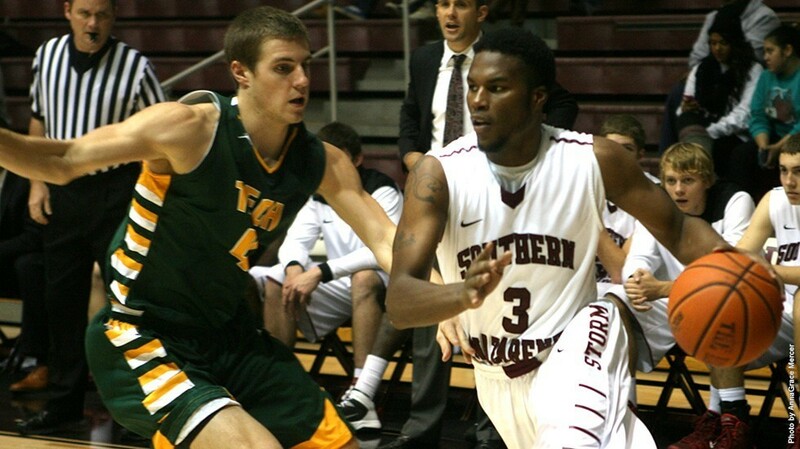 Antwone Jackson has averaged 5.8 points per-game and 5.7 rebounds per-game in his career at SNU. The women’s basketball team has an overall record of 10-12 and 7-9 in the Great American Conference also as of Monday, February 17. The Storm ladies are defending their 2013 NCCAA National Championship. Just like the men’s basketball team, the women’s season is also coming to an end with four more games, the last game being senior night on Saturday, March 1. It will be really interesting to see how both teams will respond towards the end of the season. Will the men’s team be able to keep up their winning streak and be able to take their great game towards the playoffs? With the women’s team looking to improve their level of play, will they be able to defend their NCCAA Championship? Come out to honor these teams and their senior players at Senior Night, March 1. Women play at 2 pm followed by the men’s game at 3 pm.